Our electricity distribution network spans more than 25,000 square kilometres throughout South East Queensland. 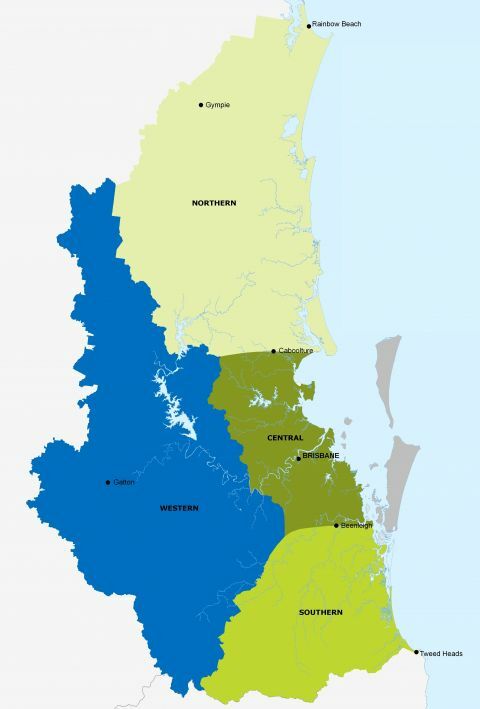 This includes the dynamic growth regions of Brisbane, Ipswich, Gold Coast and Sunshine Coast. In the past 10 years the population has dramatically increased in these areas, leading to a 30 per cent growth in customer numbers and a consequent rise in overall energy demand. As a result the electricity network's capacity has more than doubled in this time. With demand and energy sales forecast to grow significantly in the next few years, we will continue to invest hundreds of millions of dollars in building and maintaining these robust networks. By meeting targets to constantly improve reliability, we are keeping pace with one of Australia's fastest growing regions.